In Virginia, it is unlawful for minors and school bus drivers to talk on a cellphone while driving, but two bills in the General Assembly would apply the measure to all drivers. The Virginia General Assembly in heavily considering banning the use of cellphones while driving. As distracted driving becomes an issue on the Commonwealth’s roads and highways, many citizens are calling for a change to the law that is quite slow, compared to the widespread practice of either texting or talking on the phone while driving. Currently, in Virginia it is unlawful for drivers under the age of 18 and school bus drivers to talk on a cellphone while driving. Moreover, texting while driving is banned for all, making it a primary offense for motorists, and a secondary offense for those under the age of 18. The National Conference of State Legislatures (NCSL) reports that as of April 2018, 16 states, the District of Columbia, Puerto Rico, Guam, and the U.S. Virgin Islands prohibit all drivers from using handheld cell phones while driving. Although no state bans all cell phone use for all drivers, 38 states, including D.C., ban all cell phone use by novice or teen drivers, and 21 states along with D.C. prohibit any cell phone use for school bus drivers. Text messaging bans are applied to drivers in 47 states, D.C., Puerto Rico, Guam, and the U.S. Virgin Islands. The bill passed through the House of Delegates on Tuesday with a 69-27 vote. An identical bill, S.B. 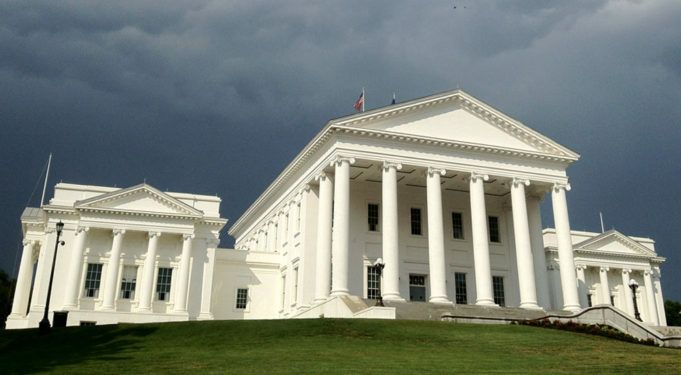 1341, patroned by State Senator Richard Stuart (R-Stafford), and co-sponsored by Frank Wagner (R-Virginia Beach) and Scott Surovell (D-Fairfax), passed through the state legislature’s upper chamber the same day with a 34-6 vote. Both bills would make the penalty for a first offense a $125 fine, which rises to $250 for a second or subsequent violation.